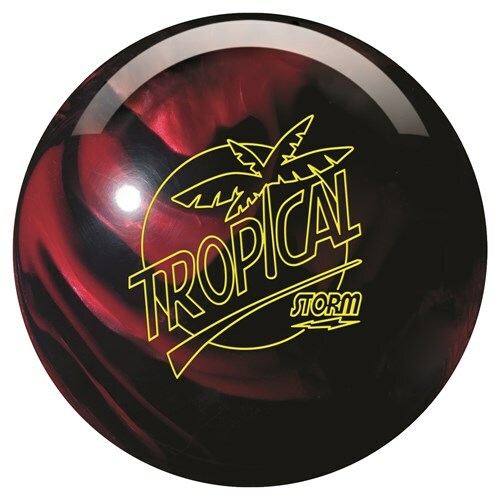 This Storm Tropical Breeze bowling balls combines the classic colors of black and red (or as they like to call it, cherry). This ball is uniquely scented with a cherry fragrance just to keep things interesting. Now to the mechanics of the bowling ball. This ball uses Storms proven Reactor Hybrid reactive coverstock which eases through the heads of the lane and reacts down-lane to offer great pin carry. 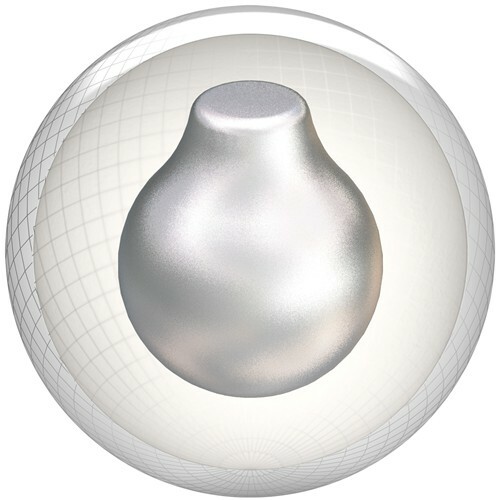 The Camber core is an inverted light bulb shape that provides predictability and control. The Tropical Breeze line is great for new bowlers or casual league bowlers. This ball is great for the price great for when the lanes start drying up or for starting best part about is that every time I throw it and don't let it to wide out the ball hooks perfectly it to the pocket. Had surgery on my right hand at beginning of year and wanted a cheap ball to roll left handed for 12 weeks. Wow, was impressed with how much I was able to hook this ball plus how much pin action and power that was achieved with it. Was expecting to average 120-130 but shot multiple games in the high 190's. Great price for the reaction you will get. Can't go wrong with thos product. Just getting back into bowling after 40+ yrs. Great intro ball. Very happy with my purchase. This ball fills the niche between a medium oil ball and a plastic ball for my medium ball speed. If necessary, I could use this ball for a strike ball with a strong wrist position and a spare ball with a weak wrist position. Extremely versatile ball. I purchased this ball for my Grandson and had it drilled to the max layout so it could hook into the pocket for him. He is only been bowling for 2 years now and since getting this ball his average has been picking up with continued use. His high game thus far 152. Great performance! I did not read the description well enough to catch that this was a scented ball. I really like the ball other than the scent. Would never buy a Storm again due to the scenting. Gave as gift to a lady and she was overjoyed about the fragrance and look of the ball. I've been using the ball for a few weeks now and I could tell the difference from plastic balls immediately. I was really concerned about buying a "scented" bowling ball. I liked the look of this Storm ball, so I took a chance. It turns out that black cherry looks and smells wonderful! It was a hit at the local bowling alley! Overall a great ball but I want to upgrade to a ball that will hook more. But I will still keep this one handy. It does an excellent job picking up spares. Great bowling ball. My daughters average went up about 15 pins since she started using this ball. Does it have finger tip grips? If you have us drill this ball for you it is just a basic drilling that does not include fingertip grips. If you would like your ball drilled for fingertip grips then we would suggest having it custom drilled by someone locally. We do sell fingertip grips that you can purchase separately. I hope this helps answer your question. Hello, the lane condition for this ball is dry-medium. It is different for each ball but some people will have the fragrance on the ball several years after owning it. It may be strong at first but it will gradually wear down as you use the ball. We do have a drilling option available for this ball for $14.95. If you select this option and the size of the drilling you want, we will drill this before shipping. If you did not select this option, the ball will arrive with no holes and you will have to get it drilled locally. Hello! This ball works best in dry-medium lane conditions. This ball will have a one year limited manufacturer's warranty. Hi - This ball sounds perfect for me. I'm a beginner bowler just starting in a league. Is there a ball equivalent to the performance of this one without the scent? The Brunswick Rhinos would be another option for you to look at! They do not have a scent to them. IF I get drill protection, Is my ball covered if I have a local pro shop do the drilling? Is this ball a spare ball ? Does a ball has sparkles outside? This ball will not have sparkles on the outside. Due to the time it takes to produce the Storm Tropical Breeze Hybrid Black/Cherry ball it will ship in immediately. We cannot ship this ball outside the United States.